Purchase tickets for drawing; if number selected make a 10 pin strike to win. Purchase tickets for drawing after each game; bowler must pick up a split on one lane and a strike on next lane to win jackpot. 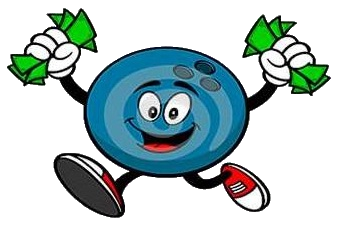 Bowler must bowl 3 consecutive Saturdays to be eligible for the full amount of the jackpot. Pick up a split that does not include the head pin to win between $1.00 to $50.00.